The Answers in Genesis video, "MILLIONS OF YEARS - Where did the idea come from?" featuring Dr. Terry Mortenson. The Moody Institute of Science classic, "Professor and the Prophets," with professor Peter Stoner. "This highly enlightening video introduces the men and the theories that helped popularize the idea of millions of years of earth history. 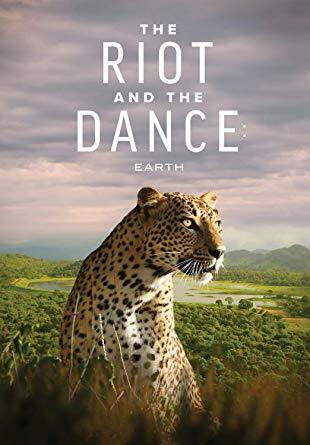 Using high-quality illustrations, Dr. Terry Mortenson races through the last century and a half to reveal that what one believes about the age of the earth is a worldview conflict of foundational importance! Viewers will understand that the issue is not science vs. religion but anti-Christian ideas vs. the clear teaching of Scripture." About our video speaker: Dr. Terry Mortenson earned a PhD in the history of geology from Coventry University in England. His thesis focused on the "scriptural geologists," a group of men in the early nineteenth century who fought the rise of old-earth geological theories. A former missionary (mostly in Eastern Europe), Dr. Mortenson has researched and spoken on creation and evolution for many years. He is now a speaker, writer, and researcher with Answers in Genesis-USA. DId the Bible prophets speak by divine authority or from imagination? What chance do human prediction have of coming true and how do fulfilled Bible prophesies compare? In "Professor and the Prophets," Dr. Irwin Moon of the Moody Institute of Science interviews Professor Peter W. Stoner, who applies the principles of mathematical probability to prophecies concerning Babylon, Jerusalem, Tyre, and Petra and uncovers some amazing facts concerning the authorship of the Bible. https://www.youtube.com/watch?v=_zQXgJ-dXM4 This is one of many YouTube videos featuring Dr. James Tour. James M. Tour, B.S. (Chemistry), Ph.D. (Synthetic Organic and Organometallic Chemistry), is an outspoken Messianic Jew, who, arguing strictly from science, destroys naturalistic origin-of-life fables. After spending 11 years on the faculty of the Department of Chemistry and Biochemistry at the University of South Carolina, he joined the Center for Nanoscale Science and Technology at Rice University in 1999 where he is presently the T. T. and W. F. Chao Professor of Chemistry, Professor of Computer Science, and Professor of Materials Science and NanoEngineering. Tour’s scientific research areas include nanoelectronics, graphene electronics, silicon oxide electronics, carbon nanovectors for medical applications, green carbon research for enhanced oil recovery and environmentally friendly oil and gas extraction, graphene photovoltaics, carbon supercapacitors, lithium ion batteries, CO2 capture, water splitting to H2 and O2, water purification, carbon nanotube and graphene synthetic modifications, graphene oxide, carbon composites, hydrogen storage on nanoengineered carbon scaffolds, and synthesis of single-molecule nanomachines which includes molecular motors and nanocars. He has also developed strategies for retarding chemical terrorist attacks. For pre-college education, Tour developed the NanoKids concept for K-12 education in nanoscale science, and also Dance Dance Revolution and Guitar Hero science packages for elementary and middle school education: SciRave(www.scirave.org) which is currently used by over 450 school districts and 40,000 teachers with over 1 million student downloads.Tour has over 650 research publications and over 120 patents. He was inducted into the National Academy of Inventors in 2015. Tour was named among “The 50 Most Influential Scientists in the World Today” by TheBestSchools.org in 2014; listed in “The World’s Most Influential Scientific Minds” by Thomson Reuters ScienceWatch.com in 2014; and recipient of the Trotter Prize in “Information, Complexity and Inference” in 2014; and was the Lady Davis Visiting Professor, Hebrew University, June, 2014. Tour was named “Scientist of the Year” by R&D Magazine, 2013. 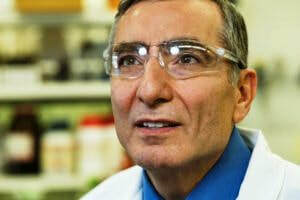 Tour was ranked one of the Top 10 chemists in the world over the past decade. He won the Feynman Prize in Experimental Nanotechnology in 2008, the NASA Space Act Award in 2008 for his development of carbon nanotube reinforced elastomers and the Arthur C. Cope Scholar Award from the American Chemical Society for his achievements in organic chemistry in 2007. Tour was the recipient of the George R. Brown Award for Superior Teaching in 2007. He also won the Small Times magazine’s Innovator of the Year Award in 2006, the Nanotech Briefs Nano 50 Innovator Award in 2006, the Alan Berman Research Publication Award, Department of the Navy in 2006, the Southern Chemist of the Year Award from the American Chemical Society in 2005 and The Honda Innovation Award for Nanocars in 2005. Tour’s paper on Nanocars was the most highly accessed journal article of all American Chemical Society articles in 2005, and it was listed by LiveScience as the second most influential paper in all of science in 2005. Tour has won several other national awards including the National Science Foundation Presidential Young Investigator Award in Polymer Chemistry and the Office of Naval Research Young Investigator Award in Polymer Chemistry. Tour is the founder and principal of NanoJtech Consultants, LLC, performing technology assessments for the prospective investor. Tour’s intellectual property has been the seed for the formation of several other companies including Weebit (silicon oxide electronic memory), Dotz (graphene quantum dots from coal), Tubz (graphene nanopillar electrodes for energy storage devices), Rust Patrol (corrosion inhibitor), NeuroCords (spinal cord repair), PanCare(treatment of pancreas cancer), Aqua Forma (water purification based upon laser-induced graphene), and Carbon IP Holdings (an intellectual property deployment vehicle). He has served as a visiting scholar at Harvard University, on the Chemical Reviews Editorial Advisory Board, the Governor’s Mathematics and Science Advisory Board for South Carolina, the Defense Science Study Group through the Institute for Defense Analyses, the Defense Science Board Chem/Nano Study Section, the Department of Commerce Emerging Technology and Research Advisory Committee and the MD Anderson Cancer Research Center’s Competitive Grant Renewal Board. He has been active in consulting on several national defense-related topics, in addition to numerous other professional committees and panels. 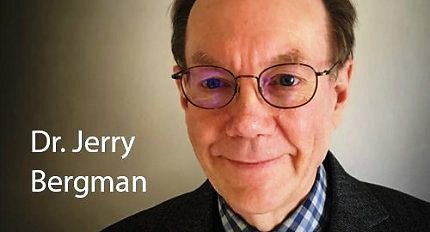 ​Jerry Bergman, A.A. (Biology & Behavioral Sciences), B.S. (Psychology), M.Ed. (Education, Counseling), Ph.D. (Evaluation & Research, Psychology), M.A. (Sociology), Ph.D. (Human Biology), MSBS (Biomedical Science), M.P.H. (Public Health), M.S. (Medicine), gave a presentation titled, "EVOLUTION JUSTIFIES ABORTION." Dr. Bergman is newly retired from teaching biology, biochemistry, and anatomy at Northwest State College in Archbold, Ohio, and was an adjunct Associate Professor at the University of Toledo Medical College. Dr. Bergman has been named a Logos Research Associate. He recently for the Institute for Creation Research. Dr. Bergman has 9 degrees, including two doctorates, one from Wayne State University in Detroit, Michigan. His over 1,000 publications are in both scholarly and popular science journals. Dr. Bergman’s work has been translated into 13 languages including French, German, Italian, Spanish, Danish, Polish, Czech, Chinese, and Swedish. His books and, or books that include chapters that he authored, are in over 1,500 college libraries in 27 countries. So far over 80,000 copies of the 40 books and monographs that he has authored or co-authored are in print. ​"STARLIGHT TIME AND SPACE TRAVEL TECHNOLOGY"
​Mark Amunrud, B.S. (Mathematics), M.A. (Theology and Worship), M.S. (Industrial and Management Engineering) spoke on the distinction between empty space, and physical space - the medium through which light shines, particles move, and forces propagate. He also entertained the possibility that the density of space, and therefore the speed at which starships and light might pass through it, may be manipulated. About our speaker: Mark has a B.S. in mathematics, a master’s degree in theology and worship from Western Seminary, and a master’s degree in industrial and management engineering from Montana State University. He has been a Bible College teacher, a software design engineer, and president of a software company. When he sold his software company he retired to become president of Montana Bible College. Mark enjoys researching diverse scientific areas that promote creation and that also advance science and technology. He teaches Genesis at Montana Bible College. ​Bill Weston, B.A. (English), Author, Lecturer, and Independent Researcher, gave a presentation on the surprising findings of a group of immanent scientists who examined the original Archaeopteryx fossil in the British Museum, up close and personal. In 1983, six scientists, (Fred Hoyle, R.S. Watkins, N.C. Wickramasinghe, J. Watkins, R. Rabilizirov, and L.M. Spetner), went to the London Museum and carefully studied and photographed the primary feathered specimen of Archeopteryx that had been purchased by the British Museum in 1861. When the direction of their investigation became apparent, the Museum stopped cooperating, denied permission to conduct definitive tests, and withdrew the specimen from further scientific scrutiny. Interestingly, Colin Patterson, senior principle scientific officer in the department of paleontology of the British Museum, went on record as questioning the authenticity of this fossil. 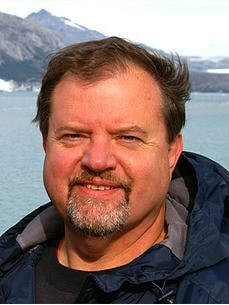 About our Speaker: In the late 90's Bill Weston began studying fossils at the La Brea Tar Pits in Los Angeles. Scientists at the site allowed Bill to examine fossils first hand, 'up close and personal'. Bill's research led him to publish in both Christian and secular publications, challenging evolutionary storytelling about the origin of tar pit fossils . Since then, Bill has focused his research and analytic skills on several questions of interest to Bible-believing Christians in the areas of paleontology and history. 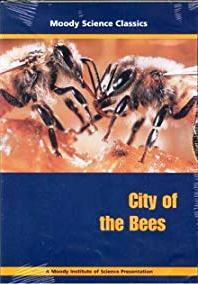 We watched two movies, "The Riot and the Dance" with Dr. Gordon Wilson, and the Moody Institute of Science classic, "City of the Bees." "Human Genetics and the Bible"
Helmut Welke, an Ambassador of Logos Research Associates, spoke on 'Human Genetics and the Bible'. This was a fascinating and dynamic PowerPoint presentation on DNA including some very recent findings and how they relate to mutations. This talk is for the average layperson. It explains the impact the Fall and curse of sin has had on our genome - which is clearly illustrated in modern genetics. About our speaker: Helmut Welk is a recently retired engineering manager with a Fortune 200 company. He holds BS and MS degrees in industrial engineering from the University of Illinois and has held positions in a variety of national and international assignments. He is a certified engineering manager, and in 2006 was elected to the board of trustees of IIE – an international society serving the Industrial and Systems Engineering profession. In 2012 he was honored as a “Fellow” of the IIE society. Helmut is also president of the Quad-City Creation Science Association. Founded in 2008, they are dedicated to telling the truth in science education. He is a member of the Creation Research Society and has recently been named an Ambassador/Speaker for Logos Research Associates. In recent years Helmut has become a popular speaker on Creation Science topics as well as Atheism and Intelligent Design. He has spoken to churches, youth groups, on college campuses and to civic organizations throughout the Midwest USA, but also in France, Germany and Poland. ​Veterinarian Dr. Gay Zambrano and husband, Dan Zambrano gave a presentation titled, "LET THERE BE LIGHT," an exploration into the latest technologies in Veterinary Medicine and the marvel of God's design. Examples of Regenerative Medicine include Stem Cell & PRP (Patelet-Rich Plasma) therapies, and Therapeutic Lasers and their use in treating and healing the creatures of God's creation with light! About our speakers: Dr. Gay Zambrona is a 1991 graduate of the Ohio State University School of Veterinary Medicine. She fulfilled an externship at the London Zoo. She has been practicing full-time small animal and exotics medicine in the Long Beach/West Orange County area since 1991. She has also held part-time clinical and consulting positions in laboratory animal medicine for 15 years. Husband Dan Zambrano has a B.S. in Marine Biology from Cal State Long Beach. He is a Licensed Registered Veterinary Technician. He has worked at Cabrillo Aquarium, the Los Angeles Harbor Dept., California State Fish & Game Dept., and the L.A. Zoo before partnering in the mobile veterinary practice with his wife. Bill Morgan, B.S.M.E. Mechanical Engineering , gave a presentation titled, "HOW BODIES HEAL: Sticks and stones may break your bones, but cuts and bones do heal." While this talk is intellectually stimulating for adults, Bill's specialty is communicating complex concepts in terms a child can easily grasp and understand. About our speaker: Bill Morgan has been a mechanical design engineer for the U.S. Navy for 30+ years. He also leads the Creation Science Fellowship of Calvary Chapel WestGrove, in Garden Grove, California. Before founding the Creation Science Fellowship of Calvary Chapel WestGrove, Bill served as vice-president of the former Creation Science Association of Orange County for nearly a decade and a half. He has developed a comic book format which communicates Creation vs Evolution issues that are easily understood by junior high and high school students. Bill frequently stands on public sidewalks outside public schools, passing out comic books to eager students. Bill has publically debated nineteen (at last count) Evolutionists, and has delivered more than 1,000 talks on Creation versus Evolution to youth groups, university classrooms, and adult groups across California and in other states. If you know an atheist or evolutionist willing to debate, please call Bill Morgan at 714 898 8331; or if you know someone struggling with evolution, likewise call Bill. For more information about Bill’s comic books and free lessons, please visit www.fishdontwalk.com. Or, call 714 898 8331. We watched a YouTube video recording of a guest lecture given November 18, 2018, at the National Institutes of Health by Geneticist, Dr. John Sanford. John feels his most significant contributions to science have been: 1) the Biolistic Process; 2) the book Genetic Entropy and the Mystery of the Genome; 3) Development of Mendel's Accountant (the most advanced and biologically realistic numerical simulation of the mutation/selection process); and (4) the Cornell symposium and subsequently published proceedings entitled Biological Information--New Perspectives. This milestone book is John's most significant contribution to science and is available at BINP.org. A free synopsis/commentary of this publication can be downloaded using the same link. Most recently, John has also co-authored the book, "Contested Bones," a piercing critique of fossils championed as evidence for human evolution. "TAKING BACK SCIENCE MEDIA FOR THE KINGDOM." 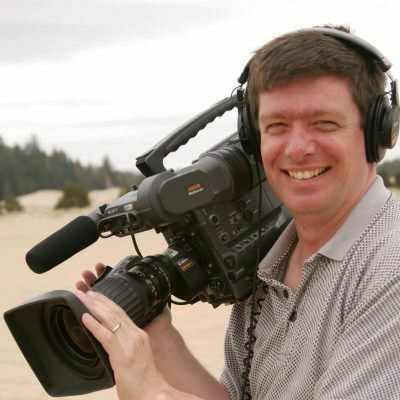 About our speaker: Kyle Justice is the Emmy nominated producer of many creation science DVDs and programs. He is the father of eight children, the oldest being Noah Justice. Kyle has been married for over twenty-five years to Dawn Justice. Kyle and Dawn homeschool, incorporating most of the kids into the travel, shooting, and marketing of their DVD titles. As they travel in their 27’ motorhome, the kids learn about production, photography, science, geography, public speaking, and public relations. Their brand of creation videos is under the label of Awesome Science Media. Many of their video titles are used for science education in the church, Christian schools, and home school programs. As a teenager, Kyle Justice began producing television projects in the mid 1980s. He and his twin brother were inspired by their father’s hobby of filmmaking. During his high school years, Kyle heard a presentation on evidence for Creation and the Bible from Dr. Donald Chittick and dreamed one day of producing documentaries on the same subject. Through the 1990s Kyle worked for Moody Bible Institute, The Family Channel, and Regent University. In 1997, together with the newly formed Answers in Genesis ministry, Kyle produced his first creation science DVD project, The X-Nilo Show. In 1999 Kyle became an independent television producer, creating content for major networks such as ESPN, National Geographic, the Outdoor Channel, Fox Sports, and Comcast SportsNet. Kyle continued producing creation science programming by developing “The Creation Network,” a weekly program airing nationally on Sky Angel during 2000–2001. In 2010 the Justice family took a 25-day road trip across the western United States, visiting several national parks. Kyle took his production gear and shot footage of the parks, as well as Noah in front of the camera talking about various geologic formations from a Biblical worldview. After coming back, they developed the first four episodes of Awesome Science and obtained Master Books as a distributor. During this time Kyle also began working with Dr. Steve Austin and Michael Oard to produce a series of DVDs on Flood geology, including the topics of Mount St. Helens, the Ice Age, and the Missoula Flood. Based on the success of these DVDs, the family began producing additional episodes of Awesome Science, The Heavens Declare series, the Creeping Things series, and the Debunking Evolution DVD. They have many more titles in development and post-production including topics on animals, dinosaurs, and applied science. Some of these projects may include Noah’s other siblings as hosts.